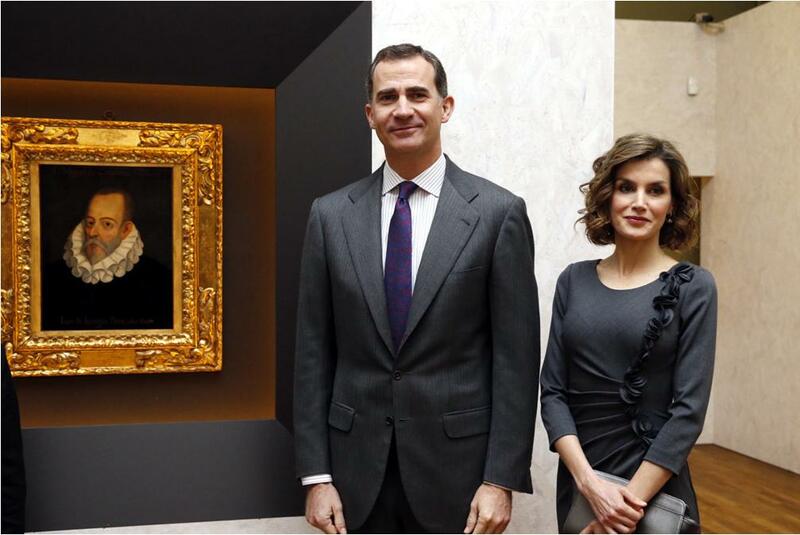 King Felipe and Queen Letizia opened a Miguel de Cervantes exhibit in Madrid on Friday. This outfit surprised me, this loose open coat and loosely tied scarf on our most tailored queen. But it surprised me in a good way. That scarf gives some much-needed color to a sea of gray and the whole coat arrangement gives some much-needed freshness to the dress underneath, a Felipe Varela design we've seen many times before. What I liked most, though? The hair. Those curls! Perfect choice for this outfit, and definitely one of my favorite styles to come out of her hair experimentation.